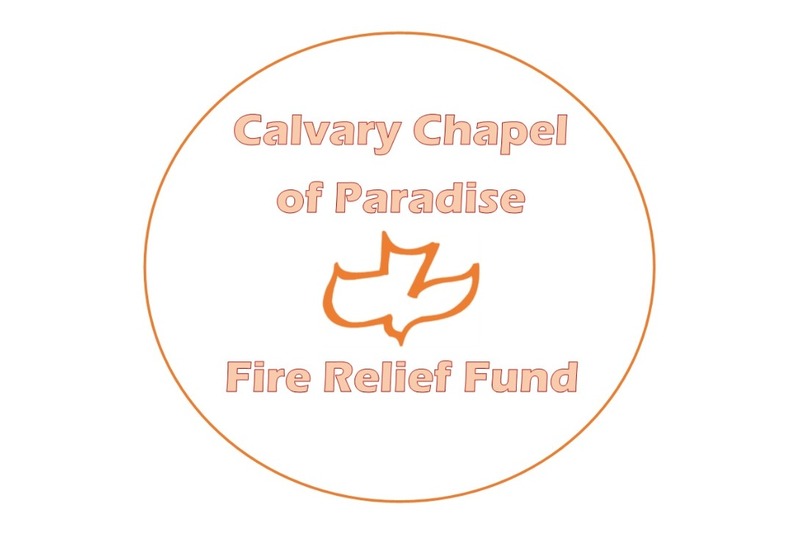 The church family of Calvary Chapel of Paradise in Northern California has suffered along with the city of Paradise, a complete loss of all of their homes. It was initially feared that the Church was lost but the latest report is that the Church is still standing! By the grace of God, all of the members of this church family are accounted for, but are now scrambling to find shelter and the resources to rebuild their lives. These families will all need to come up with rent and deposits, repurchase clothes and supplies, as well as the basic necessities of everyday life. Please consider coming along side of our Church family and the community in Paradise, CA in their time of need. Anything and everything you can give will help. This fundraiser is done in partnership with Calvary Chapel Idyllwild. 100% of the funds will go directly to the victims of the Camp Fire in Paradise, CA. After speaking with Pastor Dave, we want to clarify that the Church building is still standing! Praise God. But the city itself is all but lost to the fire. Please continue to pray for this Church body and the community of Paradise as many people are still in a state of desperation. Pastor Dave Sweet is working out of Calvary Chapel Chico now to continue to serve his Church family in Paradise.